We paddled a nice 12 mile loop on Saturday. 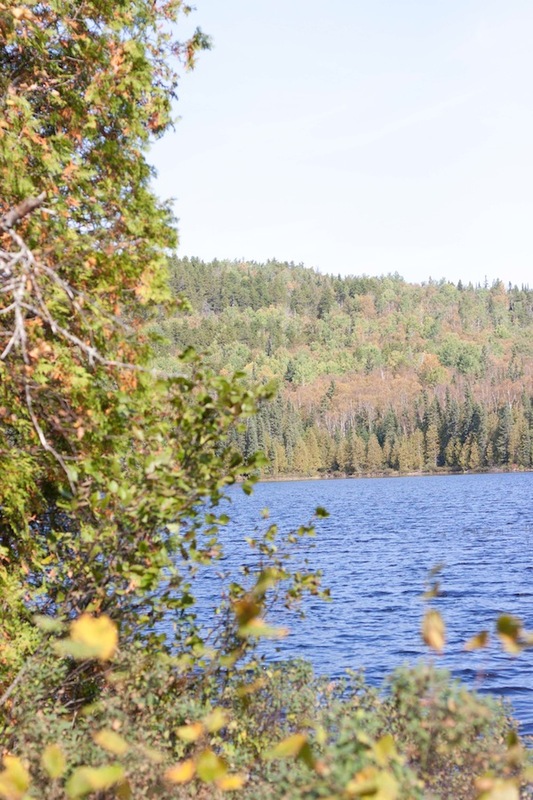 On Sunday afternoon we decided to hike up one of the low ridges to take in the views of the leaves that are just starting to show hints of gold and scarlet. 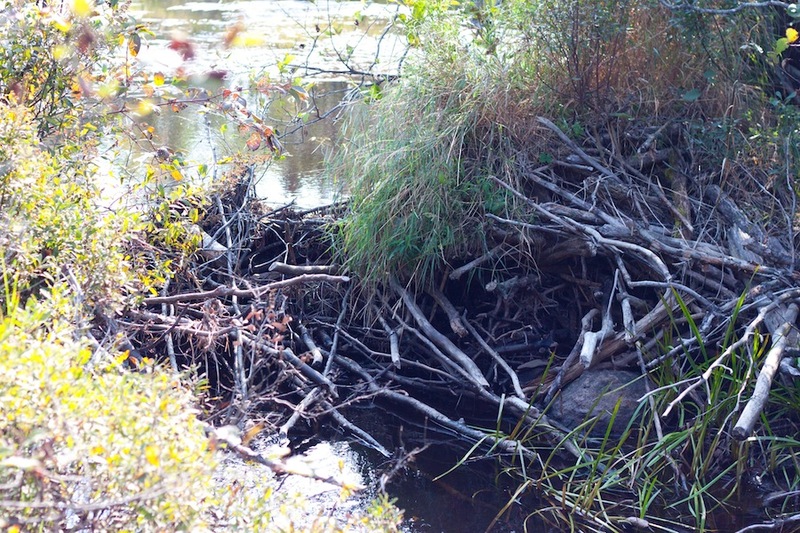 On the hike down, for the first time in several weeks, I began to think in earnest about food. Now, when I am in my normal state of mind, I tend to spend a lot of my waking time thinking about food, about spices and ingredients and ways to combine them, about meals I’ve had and meals I want to cook, new techniques I want to try or how to use up a stash of vegetables I’ve accumulated in the crisper drawer. Often I plan out the meals for several days at a time, and every day I at least seem always to be planning dinner by the time I finish breakfast. I would imagine that many of you know exactly what I’m talking about. Which means you are the few people in the world who also understand when I say that the spells I sometimes go through where I just can’t wrap my brain around creating new or interesting meals, the dry spells, feel flat out strange. Like a pump or maybe a circuit in my brain has gone out and it’s not working quite right. It’s funny because when I’m in my normal state of thinking about food a lot, I catch myself wishing that I thought about it less. My inner critic rags on me for not spending my time thinking about more noble or profound things or for being too food obsessed. It tells me that it would be better to be a “normal” person who just thinks about meals when they start to get hungry, and even then only enough to plan out something that is adequately nutritious and palatable. It doesn’t appreciate that I get giddy sometimes just thinking about the infinite possibilities contained within a cabbage or a carrot. My inner critic is a jerk-wad. When I’m in the state my inner critic prefers, the one where when I notice mealtime has arrived I have no particular plan or predisposition I just scramble to piece something together, I can tell the creative part of me is turned off. I think that for me, thinking about food is a healthy state of mind. And, I’m sure I don’t need to tell you that brainstorming the possibilities for turning ingredients into something surprising and nourishing and beautiful can be a noble pursuit indeed. I just need to tell myself that. Anyways, the long drought, the forced-feeling phase of the past several weeks finally truly lifted on that hike. I breathed in the smell of the forest, and scrutinized the wavy bends of the tree roots and the shorelines, and for whatever reason the rusty, squeaky wheels started cranking again. Ideas for future meals came popping in here and there like little flashes from fireflies. And, of all things, the thoughts that really got me going were those about kale salad. By the end of the hike I was sitting on at least a dozen ideas for kale salad. They may trickle their way onto this site bit by bit, if the local store doesn’t get suspicious and start tracking me for buying so much kale. But, for the bunch of kale that was waiting for me at home once we got back from the hike, I decided to take a grilled kale salad route. I don’t know if I’ve mentioned it before, but I have an affection for grilled romaine salad. The charred flavor standing in contrast to the freshness of the leaves and the sharpness of the dressing makes for a salad that’s even more alluring, more va va (voom, that is) than your usual bowl of tender greens. I figured the same idea would work for kale, and then I stumbled across a recipe for grilled kale salad with plums in Bon Appetit. Aha! Support for my theory. 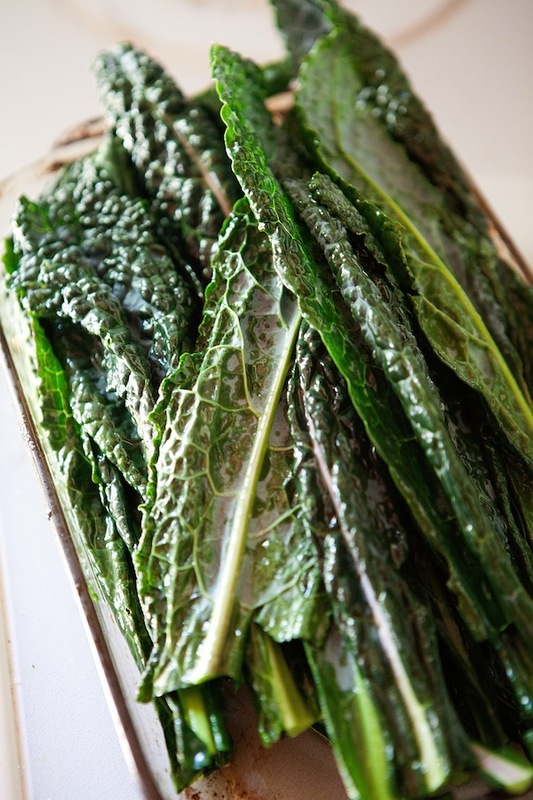 With a turn on the grill, the kale softens slightly and develops delightfully crispy charred patches. There’s a slight similarity to the (shall we admit, this one is overly popular?) kale chips available now in some markets, but these won’t run you $7 for an ounce! 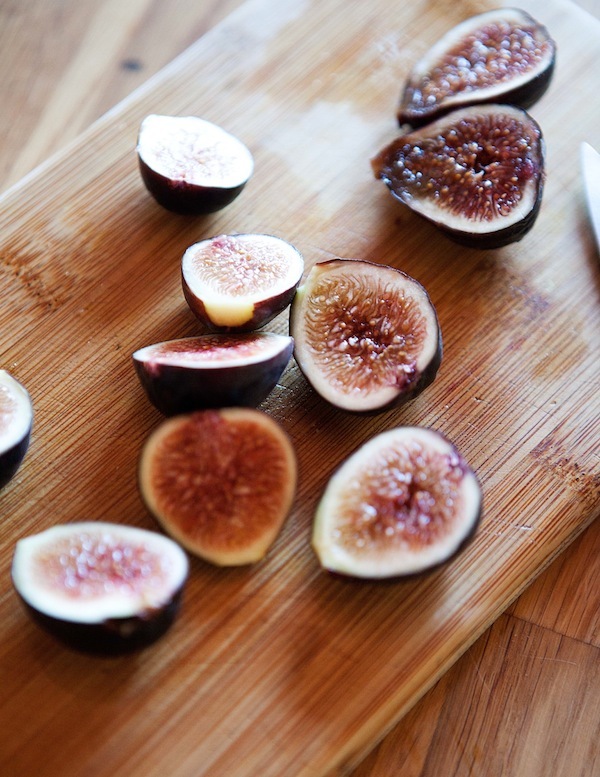 Rather than plums, I plucked other seasonal goodies out of the fridge, sweet golden beets to roast, and even sweeter figs. Figs and beets always seem to beg for a balsamic dressing, and I chose not to deny them their preference. And, inspired by the same Bon Appetit salad, I added creamy billows of fresh ricotta to gently anchor all of the other flavors. With the rich sweetness of many of the components here, generous pinches of good salt on each salad will coax out a level of complexity and a savory aspect from a set of ingredients that may seem too uni-dimensional otherwise. So taste, season, then taste and adjust the salt some more until everything pops. Salt also helps tame any bitterness left in the greens after their brief visit to the grill. I meant to add chopped, toasted hazelnuts for crunch, but I forgot. And we didn’t miss them. Already there was enough going on to hold our interest and make the salads filling. Not to mention enough to make me want to keep thinking about food and rout any concerns about kale salads being trite. Put a spoonful of ricotta on each salad plate, then divide the kale between the plates. Divide the beets between the salads, and drizzle some of the dressing that is leftover from the beets over each of the salads. Finally, divide the figs between the salads, dollop the remaining ricotta over the salads, sprinkle each with salt and pepper, and serve. this post is amazing – combining two of my favourite things, the outdoors and a delicious salad with all of my favourite things! my mouth was watering just at the sight of those beets – this salad is definitely going on my must-make list. thanks for the post! seriously awesome. Looks divine! I would have never thought of grilling kale. I can’t wait to try this. Definitely give it a try! It’s yummy. I love beets with creamy cheese, and I love figs with creamy cheese, so why it has never occurred to me to combine them all into one salad escapes me. But you can be sure I’ll be making this with today’s beet and kale harvest! Great posts and great musings! Don’t let the jerk-inner-critic win! Can’t wait to try this recipe! Thanks for sharing. Love the combination of this. It looks wonderful. 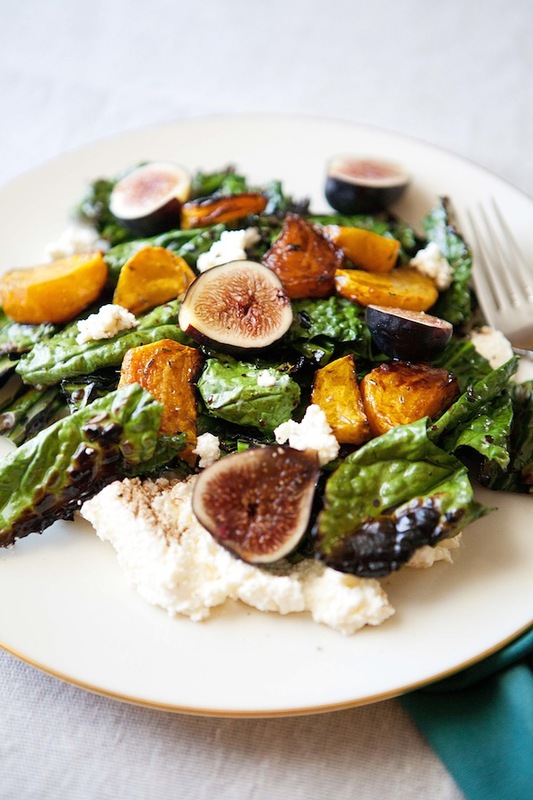 I also love grilled romaine salad–never thought about doing this with kale! Very cool–thanks for sharing. Hope you like it! It’s definitely different from a grilled romaine, but definitely tasty. I love your intertwined tales of two beautiful topics: wilderness paddling and kale. Grilled, no less! 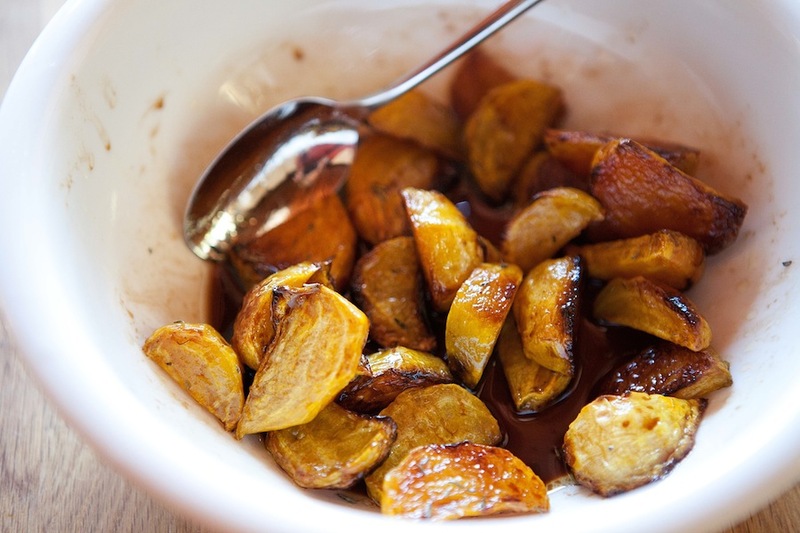 I’ll be trying this one soon, maybe shaking it up a little with early apples instead of figs. So many possibilities! Apples would be wonderful too! There’s a local restaurant here that serves a grilled romaine salad that is to die for. I haven’t gotten the courage to try and recreate it at home, but your version with kale would be a great alternative! 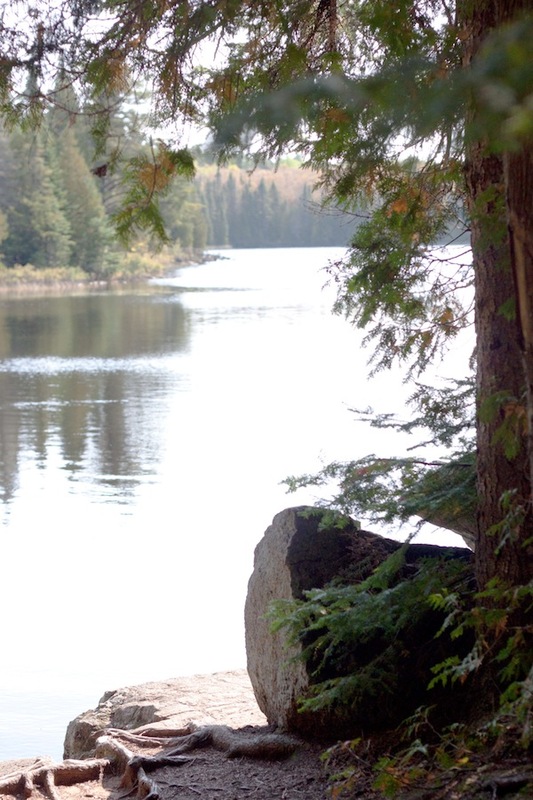 I will always regret that I never made it to the Boundary Waters during my four years in the Twin Ports. I gotta get up there! Ooh, work up the courage to try to recreate it…and then tell me how! 😉 Also, definitely do your best to someday make it up to the Boundary Waters. It’s a magical place. 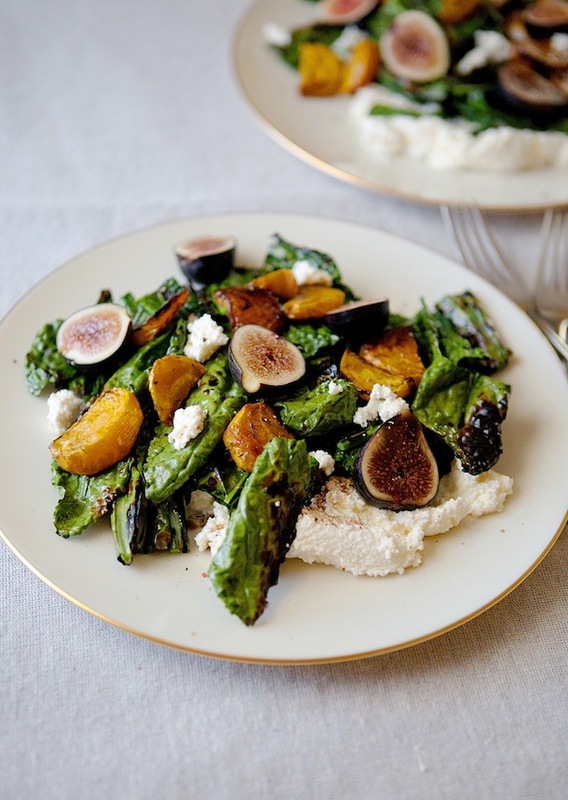 Golden beets, kale, ricotta AND figs? Thanks for combining some many things I love in one delicious salad. Can’t wait to try this. Vegan substitute for ricotta, please? I agree with Marissa that you could try blended tofu. You could also try some type of cashew cheese. Or skip the cheese element and add toasted hazelnuts instead. This is the most beautiful dish I’ve seen in a while. On my list to make THIS WEEK! thank you. for Cindy – how about silken tofu whipped in the food processor? Your post transported me from a Starbucks in the middle of a hot Texas September morning to paddling canoes on a cool and beautiful lake in Minnesota. Lovely post; wonderful recipe. Thank you so much! Also, your breakfast sounds awesome. I’m going to give that a try! I don’t have access to an outdoor grill. Can I use an indoor grill pan? I buy kale every week. You know, I’ve never actually used a grill pan, so I can’t quite say how I think it would work, but I would guess it would work alright! What a PERFECT salad! Beautiful photos! Dying to try this! It looks amazing! Any thoughts on how to get the flavor of grilled kale if you don’t have a grill? This looks wonderful and would be perfect for my husband’s upcoming birthday lunch. Thank you! Hmm, not totally sure. 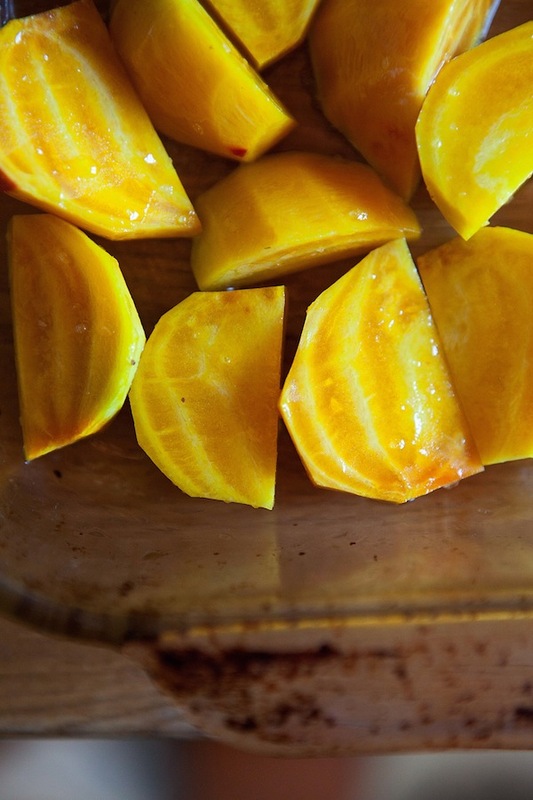 You could try spreading the leaves out on baking pans and broiling them or roasting them briefly. I came because of the photo on Pinterest looked so delicious. I just needed to compliment you on setting such a beautiful scene with your words, It felt as if I was there. Thanks so much for thinking about food, because the Lord knows I am challenged when it comes to figuring out something different. I love sweet and savory meals with different textures and different temperatures. I have a grill pan which I am going to try. Its too cold to be cooking outdoors. 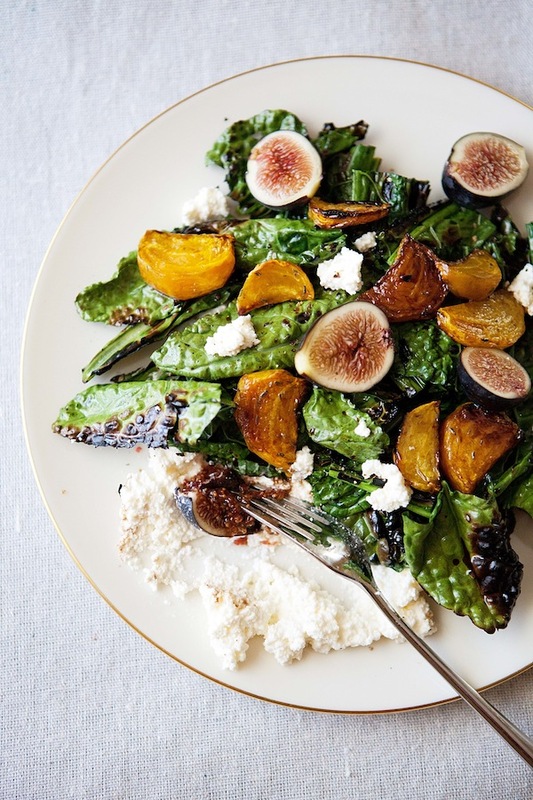 You are currently reading Grilled kale salad with beets, figs, and ricotta at Five And Spice.